With remarkable symmetry, Waterford clocked up the same 140-point aggregate score in their five-game regulation campaign in Division 1B of the Allianz Hurling League this year as they did when previously hurling out of that 'second-tier' level in 2015. To get to 140 points four years ago playing the same profile of teams as they have experienced in recent weeks, they scored nine goals (9-113). In 2019, that goals tally rose to 14 (14-98), illustrating the small but subtle difference in attacking approach adopted by new manager Páraic Fanning. Fanning's succession to Derek McGrath as manager has, so far, been quite seamless. The emotional draw this group of players would naturally have had to McGrath who had been such an influence on them on and off the field has not stood in the way of their desire to progress and develop as a team under a manager who has built up quite a catalogue of experience and clearly has an intimate knowledge of Waterford hurling. He was taking over a group of ambitious players anyway but that ambition has surely sharpened that little bit more after Limerick leapfrogged them to an All-Ireland title last year. When Waterford hosted Galway in the last regulation game 10 days ago, it was noticeable how close both Bennett brothers stayed to the opposition goals and to each other, even when the elements were against them. Prior to taking a season off last year, that demanding role as the point of attack foraging for ball had Shane Bennett in splendid isolation quite often. This year he has amassed 3-5 in the five games she has played and won countless frees for Stephen to convert, helping the older sibling to build a most impressive 3-69 haul. Beside them, Tommy Ryan has plundered 4-5, again in a more advanced role. Stephen Bennett was flawless again last week, hitting 16 points, two from play, as Waterford amassed 0-31 against Clare. Unusually, they didn't score a goal but a 94 per cent conversion rate reflected a team soaring with confidence again after such a difficult 2018 when they were relegated, didn't win a championship match and didn't even get to play one at home. 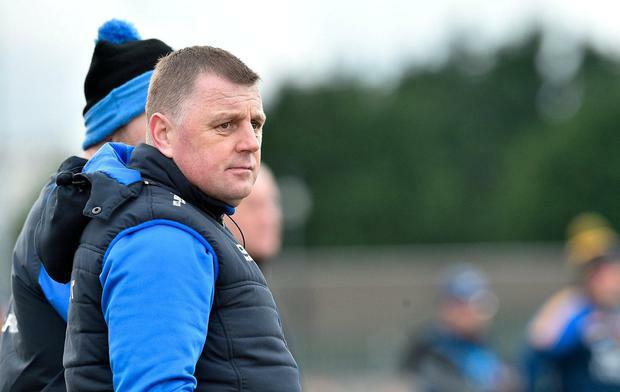 In that respect, Fanning has had a significant victory off the field as well, the decision to approve Walsh Park as a home venue for their two Munster Championship matches against Clare and Limerick is a morale-boosting one for which Fanning is known to have pushed hard. Even McGrath admitted, in the wake of Munster's approval, that he hadn't pushed hard enough last season for Walsh Park and that realisation only really came when Kildare stood their ground to have their qualifier game against Mayo played in St Conleth's Park last June. That they have followed it up with wins in successive weeks in Walsh Park against Galway and Clare has only served to create the perception of a fortress about the place, even if Waterford's game, predicated on speed of touch and movement, may be better suited to a faster field. Fanning says he's a realist and knows that days like last Saturday afternoon, when they converted 31 of their 34 chances, won't come often in the future, if at all. "I'd love to think that every time we go out, we'd have a 94 per cent strike rate," he said. "In reality, that's never going to be the case. I'm a realist, that was something I wouldn't read into." The fact is, though, he's getting the most of the Bennett brothers so far in roles that suit them best. In all, Fanning has used 34 players in their six games so far and Stephen Bennett is one of only two who have played every minute. "He's had a good year, he got himself into great shape over the winter. We came in and identified a certain way we wanted to play and Stephen was someone we felt could fill a role. He's grasped the chance fairly well. Any lads we have used have all offered us something." Of the 34, some 13 started the All-Ireland U-21 final less than three years ago, including then goalkeeper Jordan Henley as an outfield player with a substitute, Ballygunner's Peter Hogan, featuring in their most recent games. The Austin Gleeson positional conundrum is one which Fanning, a Mount Sion clubmate, says he will keep an open mind on. "He's getting better each week, a lot of things are coming together, he can be happy with his performance last weekend (scoring 0-5 from play)." He'll maintain an open mind too on tactics deployed, so far opting not to play with sweeper. "We work on things. If that ends up that there are people in attack, that is part of it. We are not playing a sweeper at the moment, I'm not against playing a sweeper. At times you need to be able to adapt. That's something that I'm quite familiar with myself. But I've my own philosophy and we are working towards that." Waterford are still without five potential starters in defence, Darragh and Shane Fives, Tadhg de Búrca, Conor Gleeson and Kieran Bennett through injury, while Brian O'Halloran has been missing since the first game. In their absence, Conor Prunty was doing well at full-back until he too joined the list of injured. But the baton change has worked well so far.